This function allows you to link a folder on the network drive to your dropbox account, so that you can synchronize and backup the files with other devices. This function is only available on certain models (e.g. MyCloud Pro). Enable Dropbox Select the check-box to enable the dropbox function. 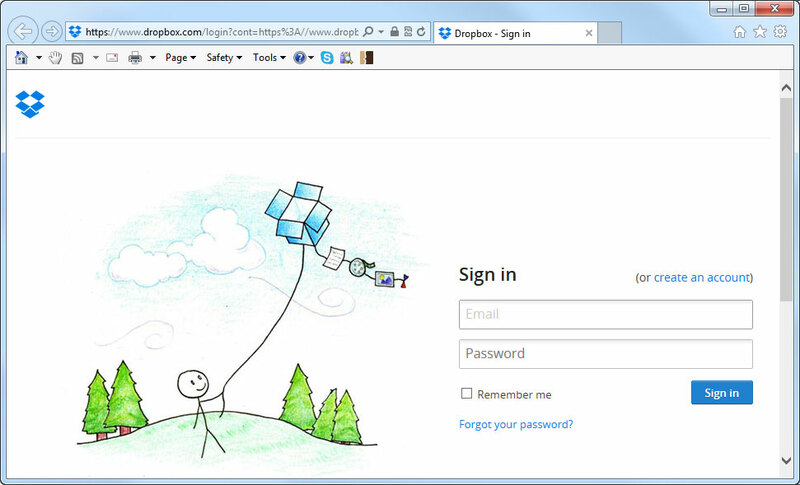 Register a Dropbox Account Click on this link to register a new account with dropbox. Dropbox Link Information Click on this link to either register or unlink the device with dropbox. Status Shows the current status of the dropbox application (e.g. waiting to be linked, downloading, idle, etc.). Dropbox Location By default, this path is set to /home/Dropbox/. If you would like to change it, click the link and select your preferred folder. To access the configuration menu, you can either go to Applications > Dropbox or you can click on the dropbox icon in the taskbar (top right of the screen beside the time). Go to Applications > Dropbox. Select the check-box to enable the dropbox function and click Apply to save the settings. 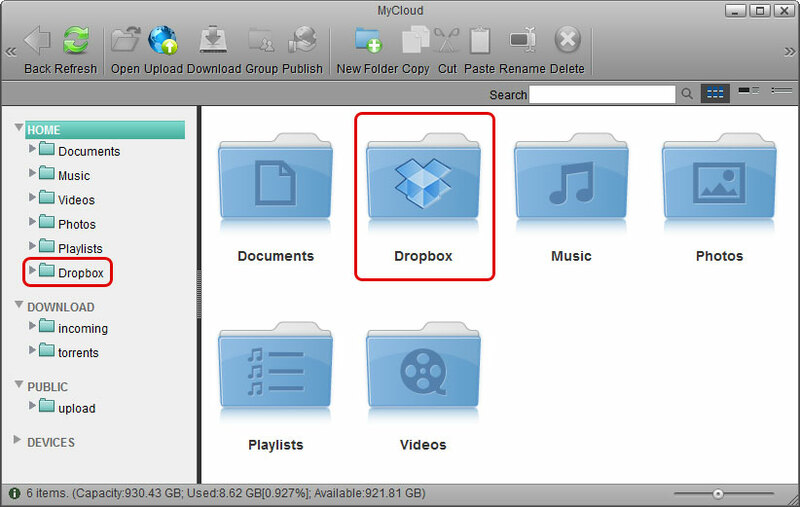 By default, the folder that will be synchronized with the dropbox account is located at /home/Dropbox/. If you would like to change it, click the link beside Dropbox Location, select your preferred folder and apply the settings. Click on the link beside Dropbox Link Information to link the device to your dropbox account. Enter the password to your dropbox account to confirm and link the device to your account. The device is now linked to your dropbox account. Go back to Applications > Dropbox. The information beside Dropbox Link Information should now show that your device is linked to dropbox. If in the future you would like to unlink it, click on the link Unlink this device. Click Refresh to update the status and see how long it takes for all the files to synchronize. When the file synchronization is completed, you can access and manage your files on the network drive.